Everyone loves a classic! 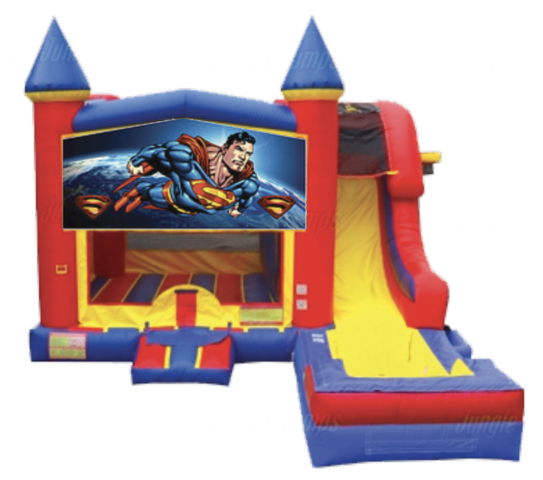 Kids will love spending hours running faster than a speeding bullet and jumping sky high while fighting off super villans in this awesome Superman water combo! This combo offers bouncing, shooting hoops, climbing, sliding down the waterslide into a splash pool and an additional hoop on the outside of the unit for extra fun!